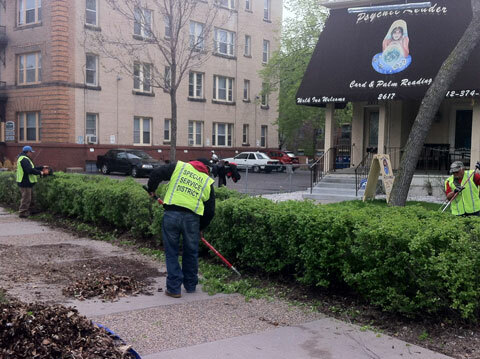 As part of its year-round services, the Lowry Hill District Special Service District conducts a spring clean-up to get the District ready for summer. Crews were out last week cleaning up the planting beds, picking up litter from the sidewalks, and pressure washing light-poles, benches, retaining walls, and around newspaper racks. Now in its thirteenth year, the Service District is funded via annual service charge assessments to commercial properties within the District. 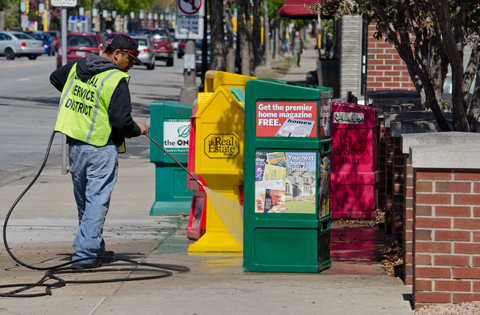 In total, commercial property owners collectively invest more than $100,000 each year to help keep the Lowry Hill District clean and attractive.